Canada: People using statins (HMG-CoA reductase inhibitors) are at increased risk of developing gynecomastia — swollen male breast tissue due to hormonal imbalance, according to a new study published in the journal Clinical Endocrinology. Gynecomastia is the benign proliferation of the glandular breast tissue in men. It is characterized by subareolar breast enlargement and occurs due to an imbalance in the actions of oestrogen and testosterone on breast tissue. It can create a psychological burden due to embarrassment, physical discomfort and a fear of breast cancer. Previous case reports have suggested an association between HMG-CoA reductase inhibitors (ie, statins) and increased gynecomastia risk. 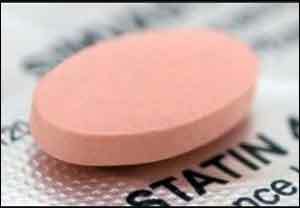 Also, a recent meta-analysis found that statins decrease the levels of circulating testosterone in men. Mahyar Etminan, University of British Columbia, Vancouver, BC, Canada, and colleagues conducted this case-control study to investigate whether statin use is associated with an increased risk of gynecomastia. For the study, the researchers created a cohort of patients from a random sample of 9 053 240 US subjects from the PharMetrics Plus health claims database from 2006 to 2016. The cohort included 6147 cases of gynecomastia and 61 470 corresponding matched controls. New cases of gynecomastia requiring at least two ICD-9 codes were identified from the cohort and matched to 10 controls by follow-up time and age using density-based sampling. Rate ratios (RRs) for users of statins were computed using conditional logistic regression adjusting for alcoholic cirrhosis, hyperthyroidism, testicular cancer, Klinefelter syndrome, obesity, hypogonadism, hyperprolactinemia and use of spironolactone, ketoconazole, H2 receptor antagonists (H2 blockers), risperidone, testosterone, and androgen deprivation therapy. More cases than controls had one of the conditions or medications associated with gynecomastia. The adjusted RR was 1.19 for statin use 0–30 days prior to the index date, 1.38 for statin use 31–60 days prior to the index date and 1.20 for 61–365 days prior to the index date. The RR for current use of finasteride was 3.42 (95% CI: 2.36–4.94). The RR was similar for recent use and past use of finasteride. Based on the results, the authors concluded that statin use is associated with an increased risk of developing gynecomastia. Clinicians should be cognizant of this effect and educate patients accordingly. Also high dose can lead to muscle weakness and muscle mass PROXIMAL type.